Although food is the reason I travel, I rarely eat desserts. I’ve never been a big sweets eater, and so I typically prefer to use all my stomach capacity on more rice, meat, vegetables, and bowls of noodles than on desserts. But being a lover of food, I still like to taste local desserts in destinations I visit – such as in Varanasi where I tried a mix of famous local sweets. While in Saigon, many of you recommended I try a dessert called chè khúc bạch, almond panna cotta jelly, at one of the most well known restaurants to try it, Quán Chè Hiển Khánh. During my time in Saigon, I stayed at a place that was very near to Chợ Bàn Cờ Market*, and nearly every morning I would go to this awesome local market to explore the food. From fried rice cakes to bowls of noodles, I found a never ending amount of delicious things to eat, and energy packed action packed into this neighborhood market. I had no idea Quán Chè Hiển Khánh was located just down the street from Chợ Bàn Cờ Market until I researched it one day and discovered it was right near where I had already been doing so much food exploration. 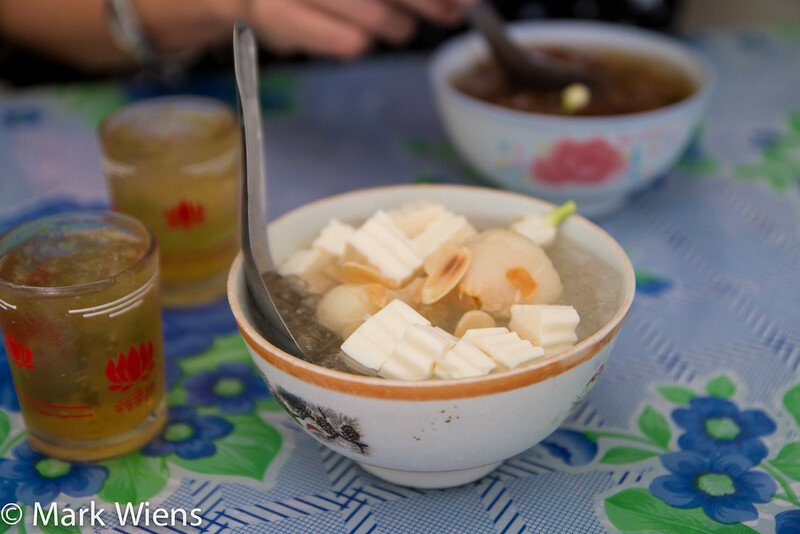 So one morning in Saigon, after doing some grazing though the market, my wife and I headed over to the restaurant to taste Vietnamese desserts. 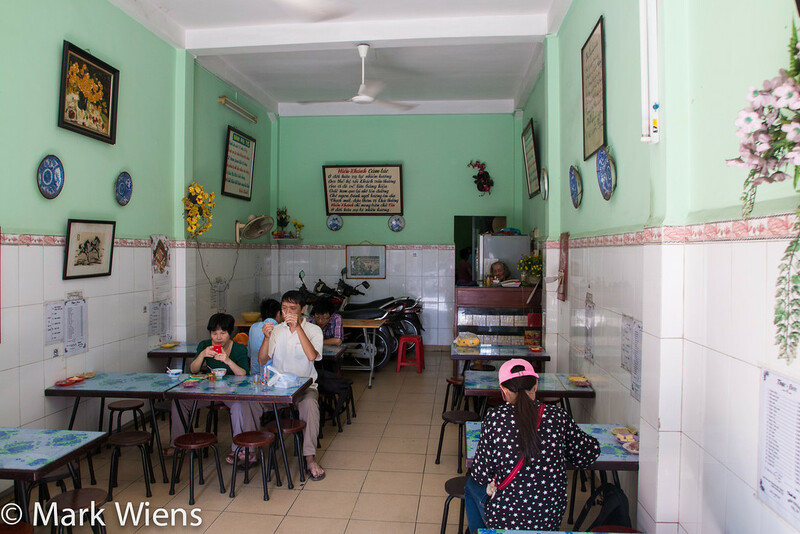 What I immediately loved about Quán Chè Hiển Khánh was that it was an old-school shop-house style restaurant – it reminded me of a few places in Bangkok that have withstood the test of time, that remain probably exactly the same for the last 50 years at least. On each table at the restaurant there were even a few plates of old style snacks, some biscuits, and some tiny bags of roasted peanuts. They just had that vintage antique look to them. 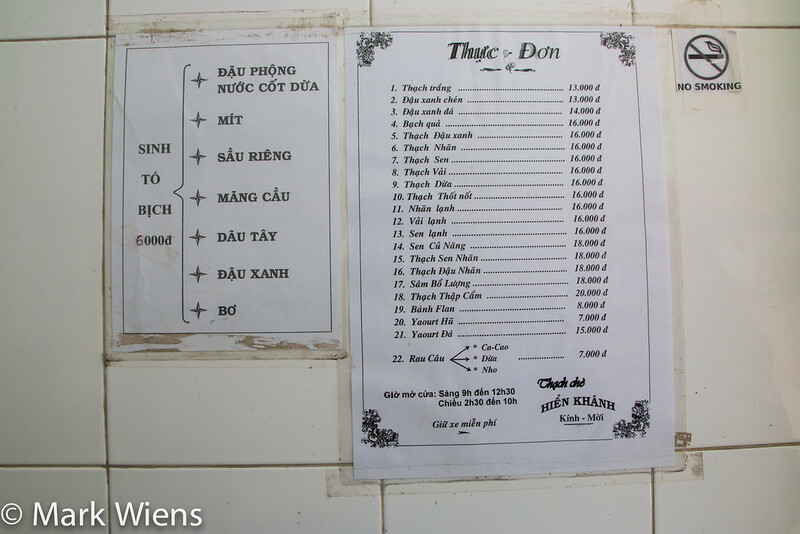 If you know what types of Vietnamese desserts you want to try, ordering from Quán Chè Hiển Khánh is easy as they have the menu nicely posted on the wall in Vietnamese. I knew for sure I wanted to try che khuc bach, but from there I really had no idea what else we wanted to try. So if you have no idea what dessert combination you want, you can alternatively go up to the front of the cabinet where all the sweet toppings are stored and choose which items you’d like to include in your bowl. My wife and I got things started with the che khuc bach, one of the more popular Vietnamese desserts, known in English as almond panna cotta jelly with lychee. Although the restaurant was old and traditional, the panna cotta jelly dessert is a relatively recently discovered mixes, though it’s now extremely popular throughout Saigon. Panna cotta is an Italian dessert of creamy jelly, that has a honey sweetness, and a texture that’s so silky smooth, it almost feels like margarine – and to me it almost has a hint of a cream cheese flavor. Oftentimes panna cotta desserts are served in cups paired with some type of sweet fruit like pomegranate. The Vietnamese panna cotta was, I think, a little jelly-er than its Italian counterpart, perhaps it included a little more gelatin. The panna cotta jelly was sliced into bite sized pieces, then filled into a bowl with sliced slivers of almond, and a few lychee fruits. The mix was then covered in crushed ice, served very similar to a Thai version of nam kang sai, with a splash of lightly sweet jasmine water and syrup, with even a couple jasmine flowers tossed in. I actually really enjoyed it! I was actually quite surprised how good the che khuc bach was – the pieces of panna cotta jelly were creamy and had a slight cream cheese flavor to them, but they were not too rich. 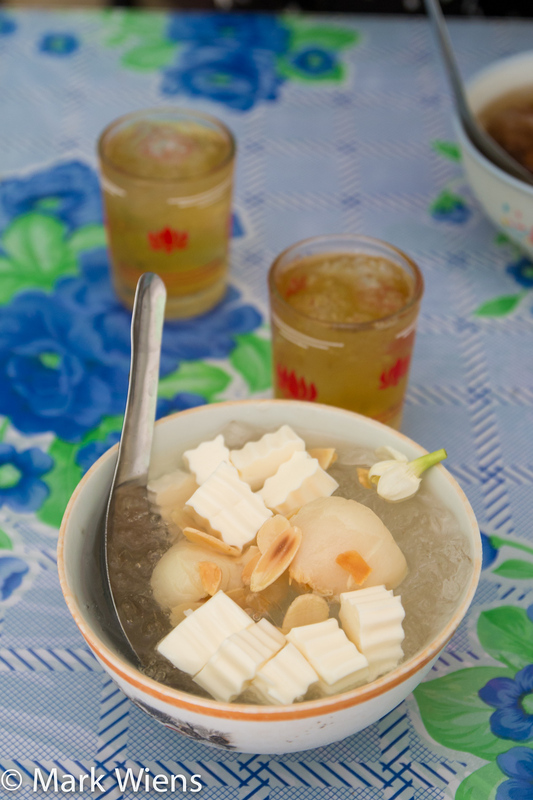 The icy soup wasn’t too sweet, just slightly sweet and studded with the aroma of fresh jasmine, almonds, and lychee. I actually really enjoyed it, and my wife absolutely loved it. In addition to che khuc bach, my wife wanted to another Vietnamese dessert, and since we had no idea how to order, we just went over to the glass cabinet to order. We ordered, what I believe was longan fruit, either dried or candied, then served in the same manner – topped with crushed ice and a splash of sweet syrup. The longan fruit had a flavor kind of like a cross between a raisin and a lychee, and while I preferred the other dessert, my wife really like this one too. 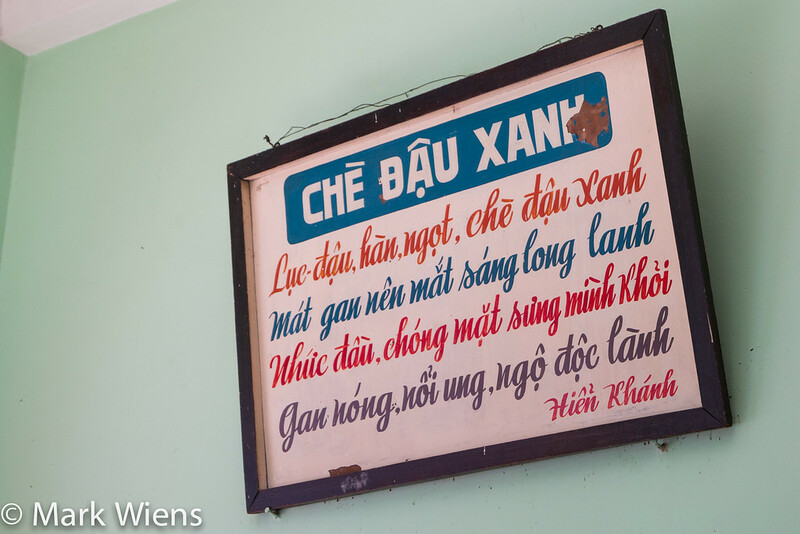 Here’s a close up photo of the sign for Hiển Khánh – I love how they still use a retro hand pained looking sign. One of the many popular Vietnamese desserts is che khuc bach, almond panna cotta jelly with lychee served in sweet syrup and crushed ice. 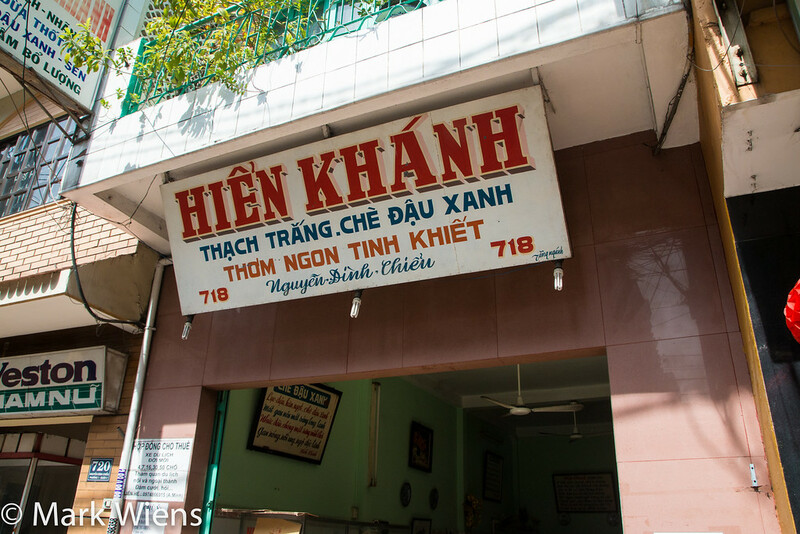 When I was in Saigon eating some incredible food, one day I went to an old-school Vietnamese desserts restaurant called Quán Chè Hiển Khánh, to give it a try. I’m not a huge sweets lover, but I have to say I really enjoyed che khuc bach – it was light and refreshing and the cubes of creamy panna cotta jelly went to well with the almonds and fresh lychee. 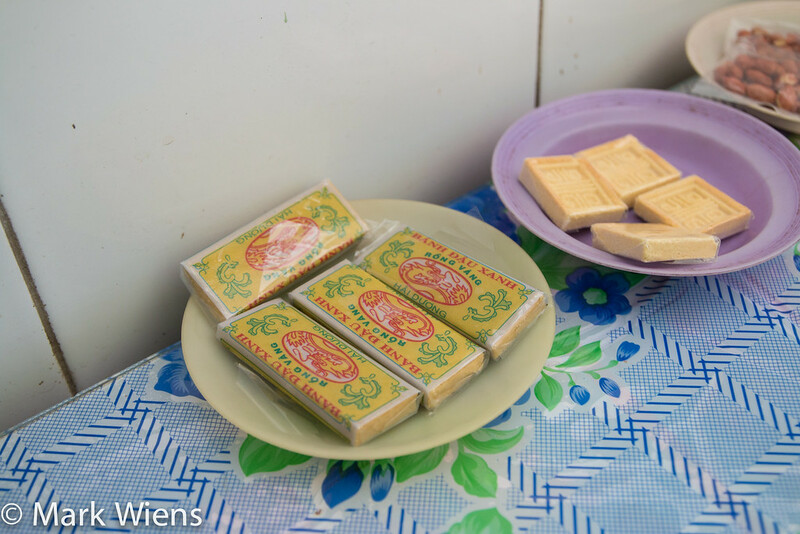 If you visit Saigon, Hiển Khánh is a great place to try a few Vietnamese desserts. 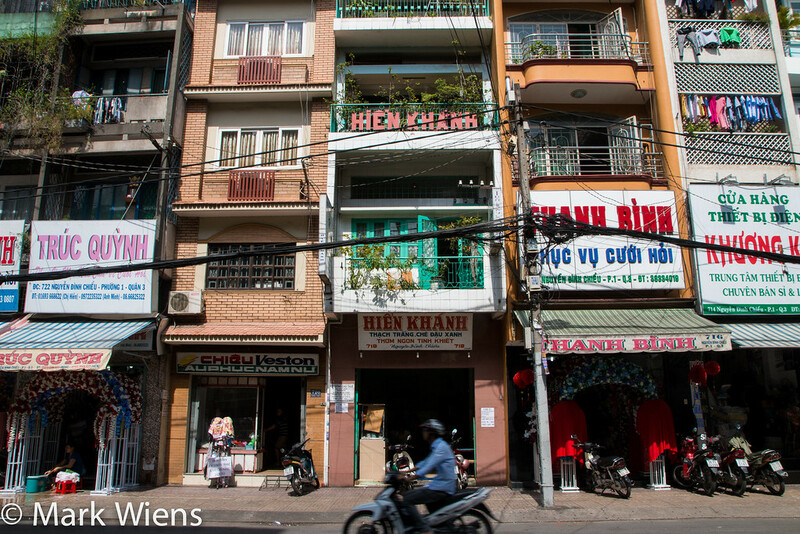 How to get there: The Vietnamese desserts shop is located near Chợ Bàn Cờ Market right along Nguyen Dinh Chieu, and just south of Nguyen Thien Thuat road. Like many places in Saigon, it’s easiest to take a taxi or motorbike here from wherever you or, or take the public bus. 16 comments. I'd love to hear from you! I find your videos / blogs are very inspirational. Travel to eat is the first thing on my bucket list, your videos are just simply enjoyable to watch. You are a true inspiration Mark. Keep up the great work and effort! Hi Quinn, thank you very much for your encouraging words, really appreciate your support. Keep up the great work, Mark! Hi Nancy, great to hear from you. Gland you enjoyed the tom yum goong, thank you for your support! Im so interested in your blog, thank you for your amazing comment about Vietnamese cuisine. I’ve lived in Saigon for more than 27 years but i can not know some restaurants that you wrote in your blog. That’s so helpful and interesting. Hi Tan, thank you very much for your kind words really appreciate it. I had an amazing time in your city, next time I’m there I hope to meet you. i love che dau xanh! Especially on a hot day– it’s best when packed with shaved ice and topped with coconut milk. Yum!! Hey Kieu, yes, that sounds fantastic! Slightly tangential to this post – but the sweet shop you ate from in Varanasi is actually a Bengali sweet shop. Bengal is considered the sweet capital of India. Did you not try any in Calcutta? They would have been so much better and more variety than what you would get in this one expat shop in Varanasi. Hi Suvro, thank you very much for sharing, and clarifying that. Unfortunately I didn’t have a chance to try any desserts in Calcutta – I’m not big on desserts, so it’s pretty rare that I try them – but if I go to Calcutta again I will for sure try. Thanks again! Che khuc bach sounds so tasty! 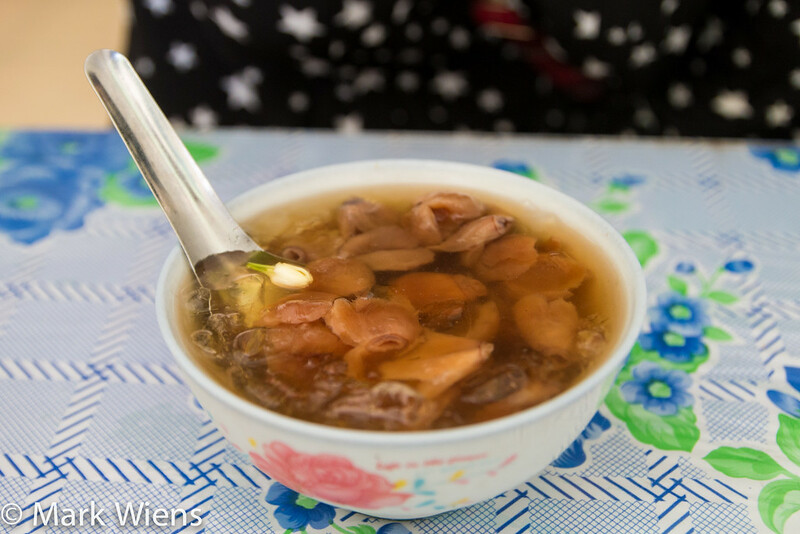 I tried a different version of this dessert in Saigon with a mix of lotus seed, ginseng root, seaweed and water chestnuts, and found it to be a very strange combination. Panna cotta, lychee, and almonds sound like a much more delicious combination! @Ashley As a Vietnamese, I’m glad to know you like it, but I’m also kinda sure what you ate is not a different version of chè khúc bạch. 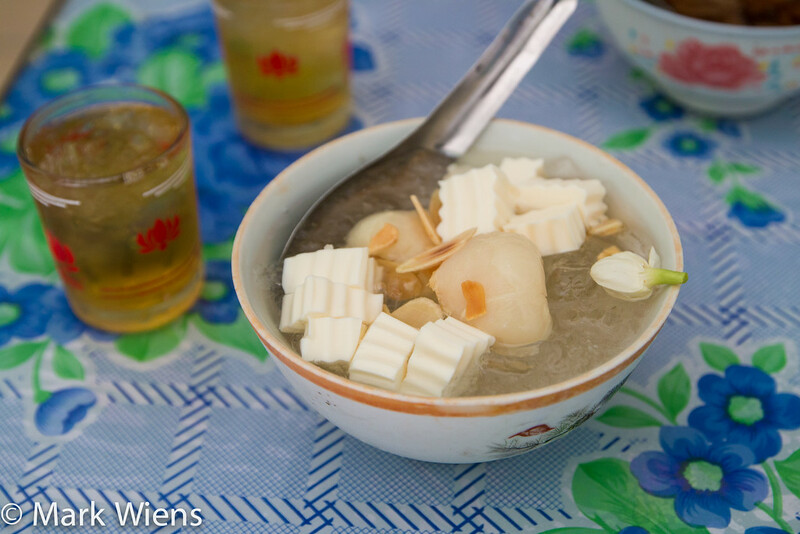 For more information, it was sâm bổ lượng, a very famous and traditional dessert in VN. I believe it is served in Quán Chè Hiển Khánh, too! Thanks Ashley, I think you’d love this one!